A decade ago, an individual previously unknown to the general public published his concept of a brand new electronic monetary system on the web. That individual identified himself as Satoshi Nakamoto – a man who would change ecommerce and the Internet forever. Essentially, he became the godfather of Bitcoin, and more than another 2 thousand cryptocurrencies that emerged in its wake. Nobody knows who this Nakamoto guy actually was. It’s not even clear whether he’s a real person or not. Perhaps this was just a screen name of some programmer or mathematician that chose to remain anonymous. However, an article Bitcoin: A Peer-to-Peer Electronic Cash System that appeared on SourceForge on October 31, 2008 is credited to this name. And although there’s been a lot of speculations on the web on the identity of Satoshi Nakamoto, there’s little doubt that his work has had an enormous influence on the entire world. However, the better part of cryptocurrencies that are being traded today are actually worthless, it’s no wonder they’re associated with dubious pumping and dumping strategies, money laundering and irresponsible speculation practices. It’s no wonder that the IMF described a recent spike in public interest towards cryptocurrencies with their high volatility and abrupt price spikes as a factor that contributes to the overall weakening of the global financial system. This report that was traditionally titled World Economic Review was released on the eve of an annual meeting of the IMF on the Indonesian island of Bali. And even though this report would acknowledge that the rapid development of cryptocurrencies may lead to potential benefits, it has also recognized an ever growing number of potential risks that are associated with the obsession with crypto trade that today’s world has been manifesting. 19,783 American dollars – that was the price of Bitcoin in its peak on December 17, 2017. This historic spike was preceded with a couple of week of unbelievably active trading reached its historical maximum value. And even though this climax lasted for only a couple of minutes, the hysteria around it hasn’t gone anywhere. In early 2018, Bitcoin.com released a study that showed that no less that 46% of the studied 902 virtual currencies all but failed. Of these, 142 were incapable of attracting enough funding, while another 276 would gradually die off or revealed as fraud. The word itself, that is “Bitcoin” is a cause of massive confusion in most people, since it has become a part of some sort of a modern cool language that everyone tries to grasp. The phenomenon of Bitcoin has long been attracting an extensive amount of international media sources and has thus gained world fame. In spite of this, there is a few people who fully grasp the concept of cryptocurrencies, what determines their price and whether it is possible to make profit on this trend. However, even a basic understanding of Bitcoin can help pretty much anyone to make up their mind, as it’s usually enough to describe it as a digital currency that has no print version. To access it and use it for transactions one will need a computer, a tablet or a phone. All cryptocurrencies are decentralized, which means that there’s no government body (such as a federal bank, for example) to control them. Bitcoin is being traded on different currency exchange sites, and its price is determined by the law of supply and demand. 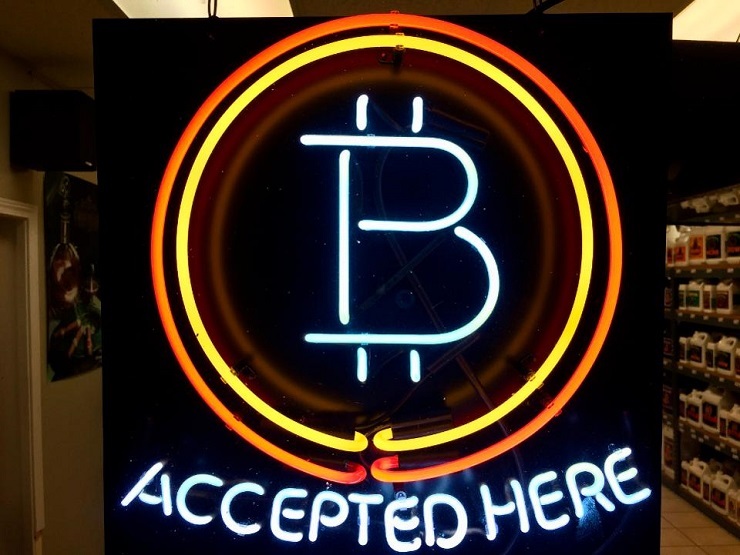 As of today, Bitcoin can be used in more than 12 thousand stores worldwide. Bitcoin was invented to provide people with a new payment system that can be bypass and quite possibly overtake conventional currencies, such as the dollar. Its very concept resides on the principle that it should not be controlled by national agencies or banks so that nobody would be able to directly interfere with its pricing. And there’s little doubt that states like the US would certainly try to do just that, as the US dollar has been dominating international markets for decades now. To understand the ideology of Bitcoin, one should take a look at the documentary titled The Rise of Bitcoin that depicts Daniel Mross, a young programmer, who mines Bitcoin from an apartment that he shares with his wife and three children. The film puts the Bitcoin phenomenon in the same category as the Anonymous and WikiLeaks movements. It’s hardly a secret that most any individual would dream about getting rich overnight at some in his life. However, as Forbes introduces us to the people who managed to fulfill their dreams, it’s imperative to understand that those people were first to the market, that’s why their yields are so high. Today, the estimated value of the cryptocurrency market exceed 400 billion dollars. This results in some experts trying to convince us that cryptocurrencies will replace electronic currency in traditional bank accounts, just as electronic transfers replaced paper money, which succeeded gold and silver. But others are rightly suspicious that this new technology might be manipulated or abused. Although cryptocurrencies are approached with extreme caution by international players, recently there’s been a spike in interest towards them as an important financial instrument that can help states bypass so-called trade restrictions that the Trump administration has been imposing left and right. In this situation Bitcoin looks like a valuable response to the dominance of the US dollar, as a number of international players are not just fighting sanctions with cryptocurrencies, but also pursuing the goal of de-dollarization.